1. When did you start your business and why did you start it? I’ve been working on boats since 1981 and I have extensive sailing experience around the world. I enjoyed working in the marine industry and opened this business in 1997. I still travel for projects and here are a few places I’ve traveled to Louisiana, Alabama, Florida, Outter Banks, St. Maarten, Puerto Rico, Costa Rica and Panama. 2. What kind of products or services do you offer at your business? My business offers a variety of products and services. We have a popular product called “Tuna Tubes”. My customers have started calling me the “Tuna Tube Guy”. 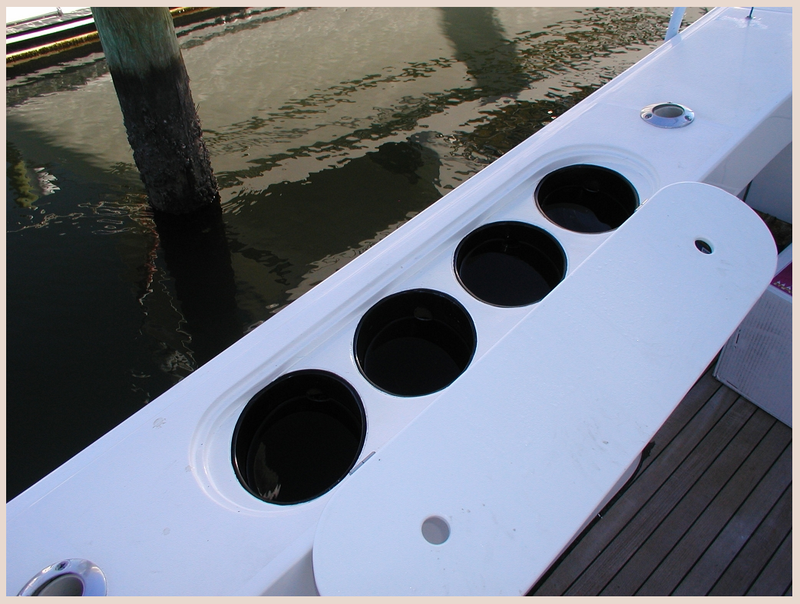 We do custom fiberglass work, rod storage, cabinetry, bait wells, and more. Escardo Marine has developed a new product for the marine market; a marine dehumidifier we market under the name “RiteAire Marine“. We are also dealers for various marine equipment manufacturers: Marquipt, Sea Wise, HRO, FCI, HEADHUNTER, STEELHEAD, UMT, and Nautical Structures. 3. How often do you shop at Fiberglass Coatings? What makes you a repeat customer? I shop at Fiberglass Coatings at various times as I do travel a lot. Sometimes I will come twice in a day, twice in a week or every other week. Sometimes I’m too busy to come by the store and I’ll have one of my employees pick up products for me. I’m a repeat customer because the location is close by and you carry a large selection of items. I’ve been shopping here since 1997. 4. What products do you normally buy from Fiberglass Coatings? Can you tell us a specific product/products you buy and what you use them for? 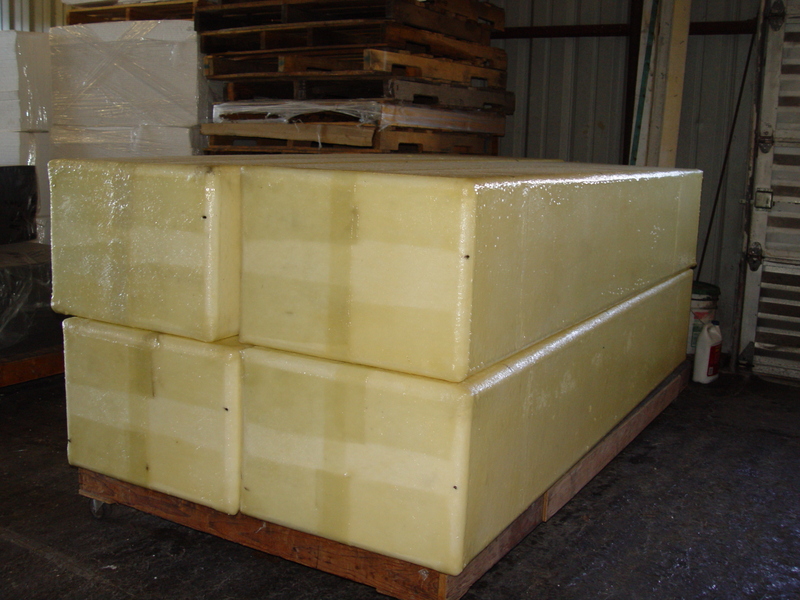 At Fiberglass Coatings, I usually buy anything from resins, acetone, MEKP, gelcoat and buckets. My sales representative recommended for me to use semi-permanent mold release and have been very impressed with the product. 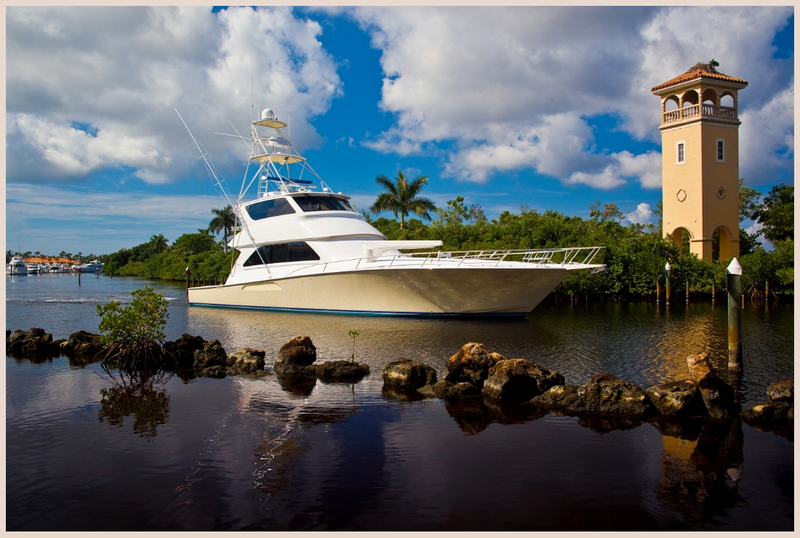 Escardo Marine is located at 2401-C 28th Avenue North, St. Petersburg, FL 33713. They can be reached at 727-898-2010 or by email at hectora@escardomarine.com. Check out their online presence at www.escardomarine.com and click here to visit their YouTube channel. An Interview with business owner, Kris Witman of Whimsical Wonders by Kris. In the Summer of 2010, I was trying to come up with a project to do with my son. We made garland from my collection of bottle caps than I moved on to baskets, pocketbooks, a small beer bottle fence. 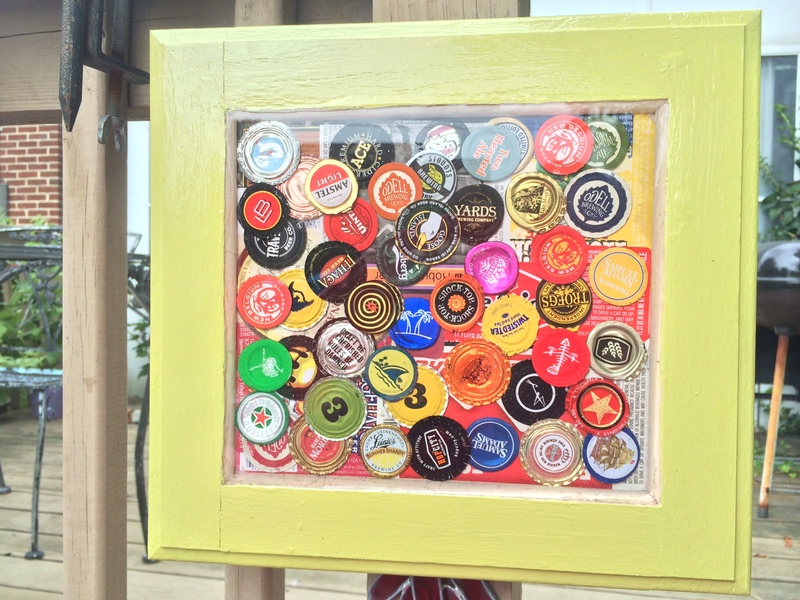 At my full-time job, I was given this huge box of a beer bottle cap collection from a bar in Manayunk, Pennsylvania. As a thank you, I made him a beer basket. When I delivered the basket, I discovered that he wanted his wall filled with beer caps. Which sent me on a mission to find out what resin was. 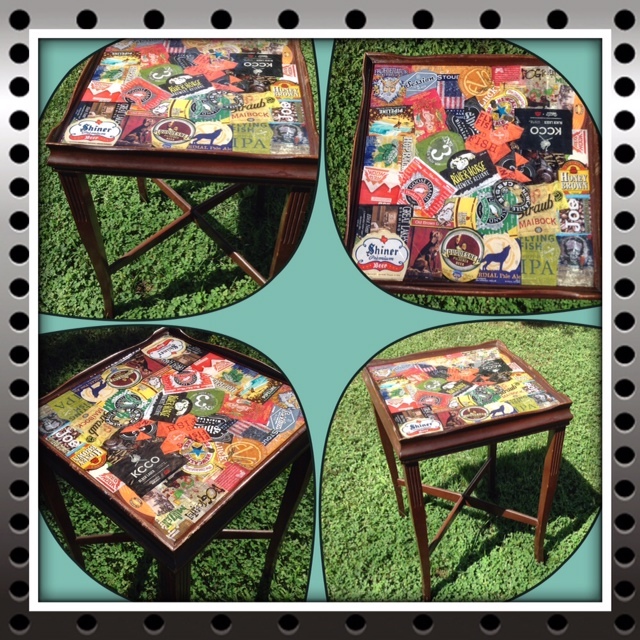 After making some samples for the bar, I ended up not creating a wall project, instead I labeled and bottle capped a 6 – 7 feet table for his bar! 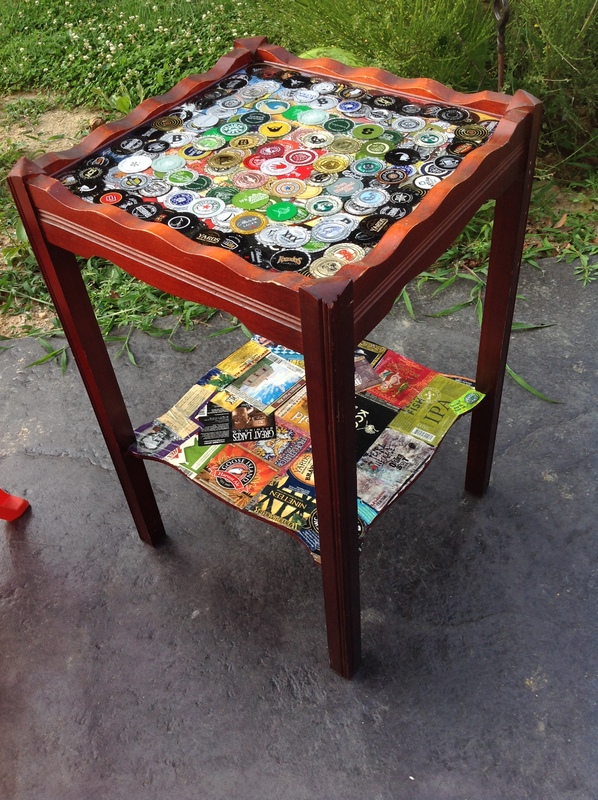 I create tables, ornaments, trays, coasters, and so much more from beer bottle caps. 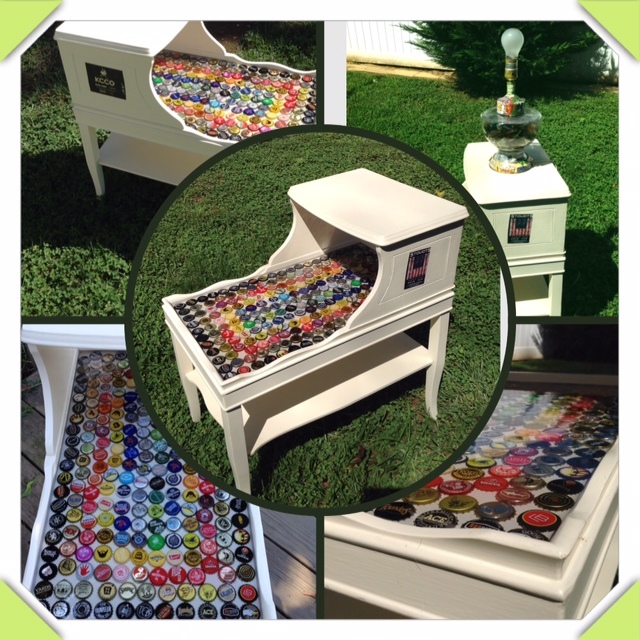 I offer custom orders, even if you would like something other than beer caps! I have created trays with pictures, coaster with a sand dollar and another coaster to display an award. I love Fiberglass Coatings! I have tried other resins, but they do not compare to that crystal clear look! The outcome of the resin is so clear that some people have thought they could actually pick up the caps. I try to have many products ready for resining than I have resin nights. On some nights all I do is work on projects with resin. 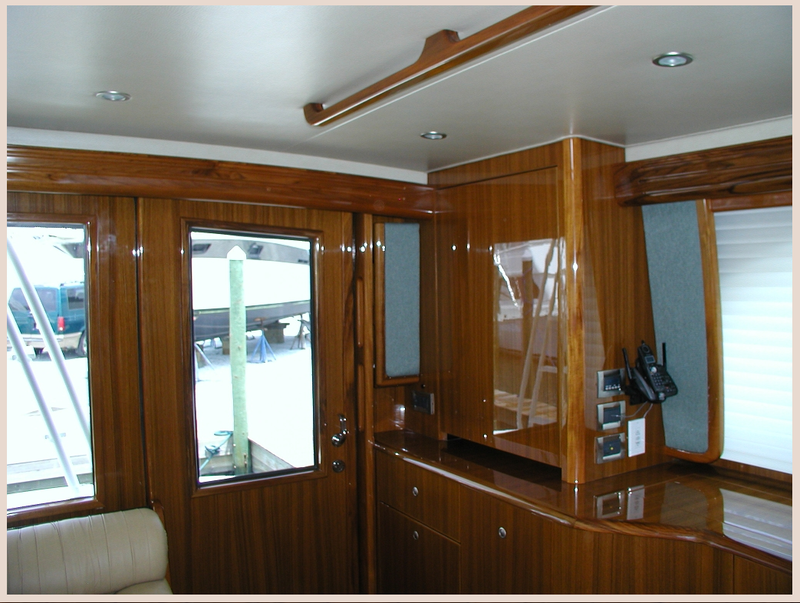 Fiberglass Coatings has many products that you can use for many projects!! 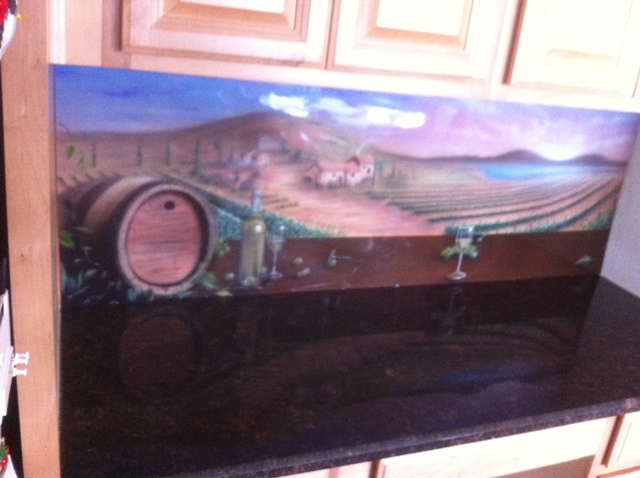 My resin of choice is the Clear Table Top Epoxy System, which is perfect for my creations. But I have interest in different tools and silicone mold making products, and other epoxy resin products. Whimsical Wonders by Kris is located in Lancaster, Pennsylvania. An Interview with business owner, Mike Jenney of Mike Jenney Murals. I started my business 25 years ago. I’ve always been interested in artwork and wanted to attend Ringling Museum of Art, but I ended up attending Tampa Bay Technical and enrolled in the Commercial Art program. I offer a variety of products and services at my business. Depending on the project, I shop at Fiberglass coatings about once every other month or once a month. I’m a repeat customer because I like the convenience and the quality of the products. I buy everything from resin to spray foam from Fiberglass Coatings. I use the foam to create my molds. Mike Jenney Murals is located in Largo, Florida. You can contact them by phone at 727-584-3111 or by email at mjenney1@gmail.com. They also have web presence at http://www.mikejenneymurals.com and https://www.facebook.com/MikeJenney?fref=ts. An Interview with business owner, Mariano Pinal of Insulated Packaging Systems. This business has been established for over 30 years. I am actually the third owner. I had the chance to speak to the first owner and he created this business to help the small business industry. He wanted to help the small businesses that couldn’t afford to buy large quantities. I bought this business 5 years ago from the second owner. By speaking to the first owner, I was able to find out the reason he created this business and I wanted to keep the same business purpose. My business has many different products and services. I visit Fiberglass Coatings once a week or once every 2 weeks. It’s depends on the demand of the project that I am working on. First, I go to Fiberglass Coatings because it’s like going to see a family member. Mark and Pat are always helpful with answering my questions and being there is like being at home. Even though, I’m in Clearwater, driving to Fiberglass Coatings in Saint Petersburg is a fun trip. You can talk with Mark and Pat about anything. Second, I could buy products from other stores, but I would rather buy from Fiberglass Coatings because I feel treated like a friend rather than a customer. Sometimes I come in to buy rollers but I could end up speaking to Mark and Pat for hours, the kind of person I am that means a lot to me. Third, I should go through my sales representative but I would rather come into the showroom to speak with Mark and Pat because they are like my brothers. We have a bond. I deal with many vendors but with them, it’s special. I buy many products from Fiberglass Coatings. I buy hardener, resin, MEK, rollers, gloves, scissors and sometimes pigment for special projects. I also buy chopped mat, which is a very important product for my projects. I buy them all from Fiberglass Coatings. Insulated Packaging Systems is located at 1611 North Hercules Avenue in Clearwater, Florida. 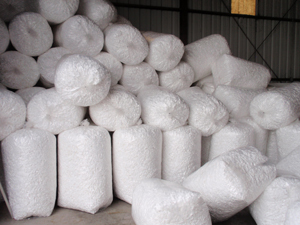 You can contact them by phone at 727-447-0085 or by email at insulatedpackaging@gmail.com. 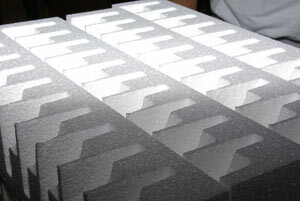 Check out their company website at http://www.ipackfoam.com, as well as blog site at http://www.packagingfoaminsulation.com. They also offer free quotes on custom packaging.